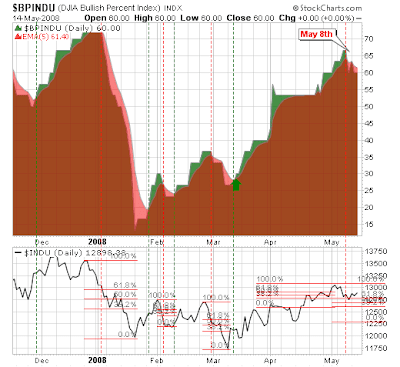 The Dow bullish percents look to indicate a top in the short term. I am watching Fibonacci retracements, which based on prior 'sell' triggers and Fibonacci interceptions suggest downside targets of 12,583 or 12,296. Markets off to a relatively quiet start.